If resources are preferentially allocated to those who live in the most critical tiger habitats, this will leave these areas completely free of human disturbances and allow tigers to thrive. In our overpopulated world, the conflict between people and large carnivores is growing. Usually, human needs are put first, or attempts are made to encourage peaceful co-existence by educating people about the importance of top predators or compensating for the loss of livestock. In the most extreme situations however, the needs of the animal are put first – a solution has been recently proven to benefit both humans and tigers. 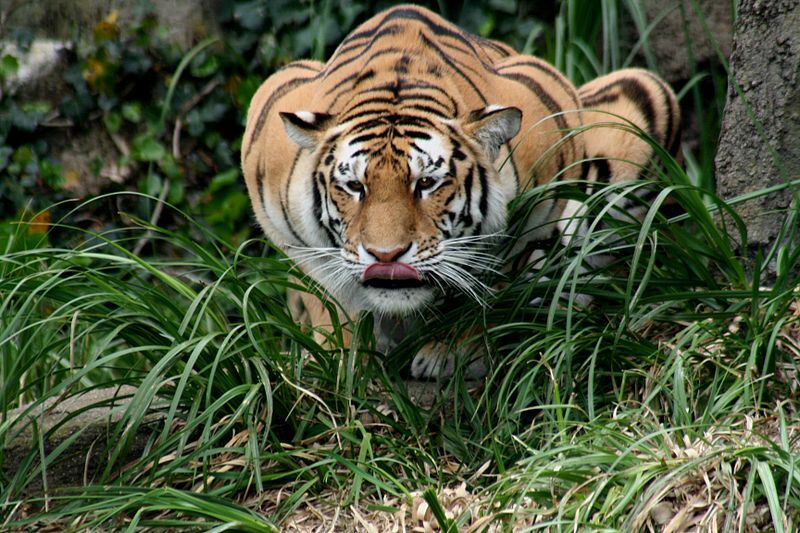 Researchers from the University of Kent’s Durrell Institute for Conservation and Ecology studied the effect of resettling humans away from critical tiger habitat along the Nepal-India border, in the Terai Arc Landscape. This region is of critical importance to the survival of tigers, that need vast amounts of land to feed and breed, but is also home to nearly 7 million people. Historically, a people known as the Gujjars lived in the area and moved with their livestock seasonally, so lived a sustainable lifestyle. But recently, socio-political pressures have forced them to reside year round in the area, resulting in the land becoming overgrazed and degraded. Starting in 1984, 1125 Gujjar families were resettled away from the region. This cost just US$360 per household to cover the cost of agricultural land, houses and livestock sheds. The resettled Gujjars have adopted an agri-pastoralist lifestyle and gained access to education, medical services and veterinary care. The tigers and the ungulates they hunt have benefitted too, as their populations have increased in the vacated lands. More recently, the researchers interviewed 2237 Gujjars, most of which are unhappy with their current situation and are eager to be relocated with government assistance. As an average of 89% of household income comes from milk production, livestock losses are particularly problematic for them. Death of livestock cost US$45,000 in lost revenue, but only 10% of households actually received compensation. The Gujjars believe that a quarter of all deaths are due to tigers or leopards, which leads to retaliatory poisoning and the involvement of community members with organised poachers. Conservation organisations are therefore keen to take advantage of the desire of the Gujjars to relocate. If resources are preferentially allocated to those who live in the most critical tiger habitats, this will leave these areas completely free of human disturbances and allow tigers to thrive. A win-win situation for both people and predators – a rare resolution when it comes to human-wildlife conflict. 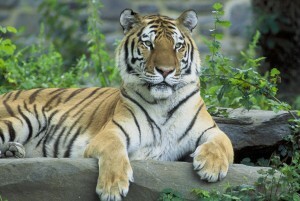 Vulnerable to the illegal wildlife trade, Tigers have now been declared extinct in Cambodia by WWF. 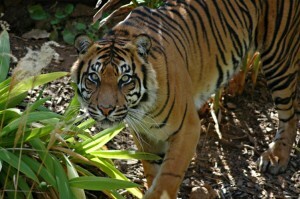 A bold action plan has been launched to reintroduce the big cats back into Cambodia. A research expedition to Sumatra has found that well-protected forests on the island are disappearing and becoming increasingly fragmented, leading to renewed fears of the extinction of the Sumatran tiger. Of the approximately 130,000km2 remaining habitat for tigers, only one third has some sort of protection from development and logging, but it seems that even in protected areas habitat destruction continues. 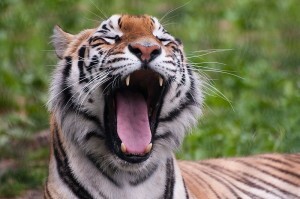 A geographic profiling tool used to catch serial criminals could help reduce the casualties of human-tiger conflict and cut attacks by half, according to new research.